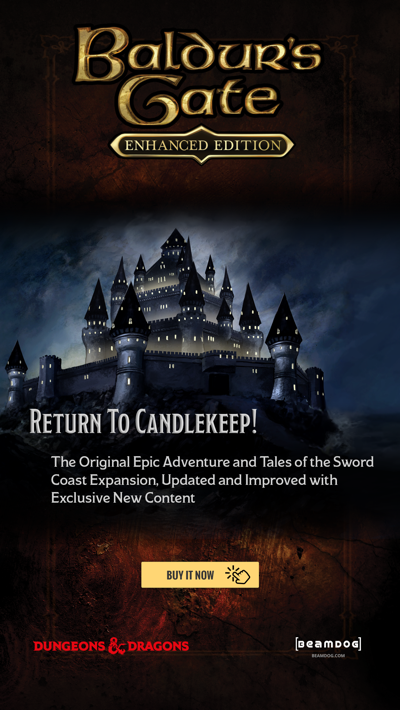 The 2.5 update for Siege of Dragonspear is coming to an Android device near you! 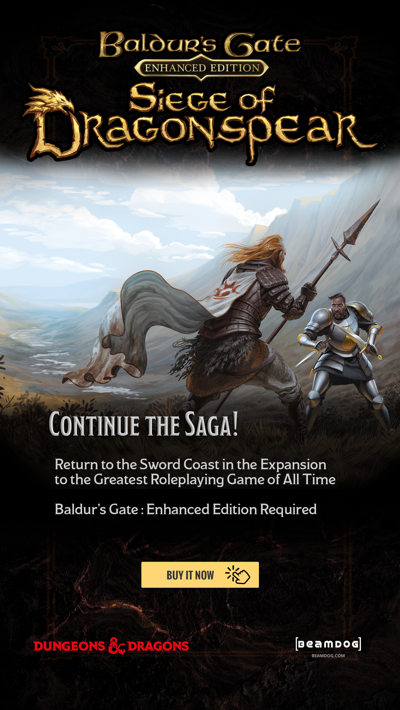 This update focuses on bug fixes and ensuring that player characters can be imported and exported properly for the other Baldur's Gate titles. The 2.5 update will first be available on Google Play and will be rolled out to Steam, GoG, Beamdog, App Store, and Mac App store in the weeks ahead. Watch out for future updates on Twitter, Facebook, and in our forum.